36 - BIG BANGS Are The Best Toys! by What The If? 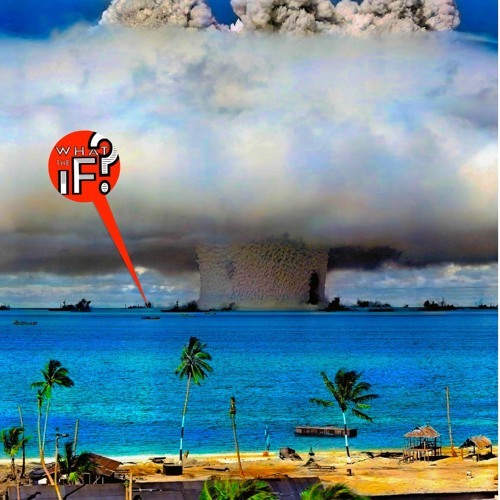 Edward Teller, creator of the Hydrogen Bomb wondered one day (smoke drifting from his pipe) could NUCLEAR BOMBS be used for (puff puff) PEACEFUL purposes? Could you build a harbor with the flick of a switch? Egomaniacs that we are, today we go even further and ask out loud to you and us.... Heck if BOMBS could be used for construction, what about BIG BANGS?! WTiF you could make a bang in your backyard? DO NOT TRY THIS AT HOME. But do listen, at home, or wherever you are most compelled to ask the BIGGEST, BANGIEST question in the Universe: "What The IF?" Click & listen! Download 36 - BIG BANGS Are The Best Toys! Users who like 36 - BIG BANGS Are The Best Toys! Users who reposted 36 - BIG BANGS Are The Best Toys! Playlists containing 36 - BIG BANGS Are The Best Toys! More tracks like 36 - BIG BANGS Are The Best Toys!